Black Fork Cafe is situated in the heart of Burnside Village. The interior offers a warm and inviting atmosphere, and the open-air courtyard seating is perfect for a sunny day. 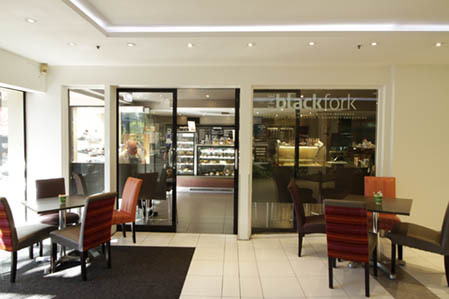 Black Fork Cafe boasts an idyllic menu created on site including delicious mains, decadent sweets, a variety of gelato, and beverages that go above and beyond the standard. Whether meeting for a coffee, indulging your sweet tooth or enjoying a leisurely meal with friends, Black Fork Cafe is your destination.